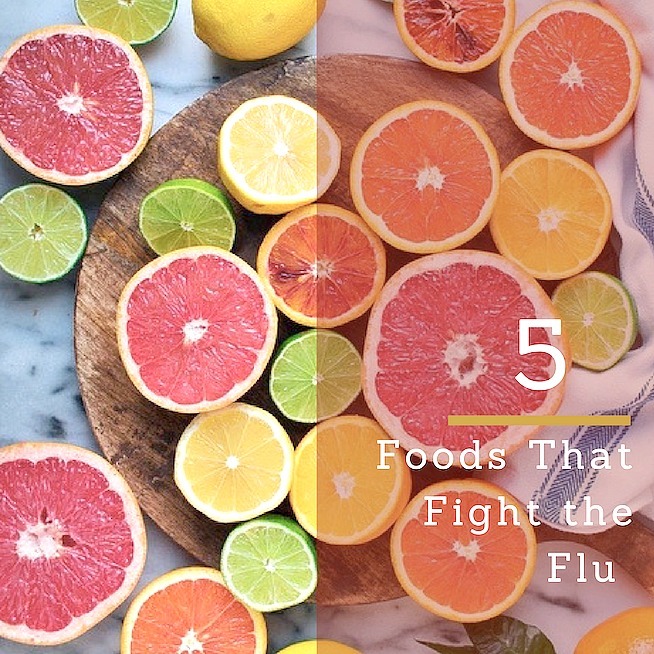 With the influenza epidemic peaking, be sure to eat these foods that fight the flu. This year’s flu virus is on track to beat all records for illnesses and even deaths. And it appears there may be several more weeks or even months before we’re in the clear. First, let’s review how to tell if you have a cold or flu. Influenza, or flu, is almost always associated with a high fever that lasts 2-4 days; headache; muscle aches and pains; severe fatigue; cough and congestion. You just want to get in bed and sleep and sleep when you have the flu. With a cold, you’re likely to have stuffy nose, sneezing, cough and sore throat. Contracting the flu is more than a major nuisance, it can be life-threatening. A healthy diet and lifestyle is known to help keep the immune system on track. Several nutrients, such as iron, zinc and selenium, are essential for a healthy immune system. Flavonoids found in tea, apples, cruciferous vegetables and other plant-based foods provide immune-boosting benefits too. • Wash your hands. Flu viruses often spread from when your hand touches something that has the influenza virus on it, then you touch your face. The flu virus can live for up to 2 days on objects, so keep wiping down your work space, counter tops, door handles, keyboards and faucets if someone is sick around you. If you are sick, stay away from others; coughing around others is a major way the virus spreads from person to person. Use hand sanitizers frequently until this flu season passes. • Eat your fruits and veggies. Fruits and vegetables have the most nutrients that bolster your immune system. Cruciferous veggies—broccoli, cauliflower, Brussels sprouts, bok choy and kale—have specific antiviral properties that may help protect you. Citrus fruit have many bioactive compounds that may help attack the influenza virus. • Spice up your life. Herbs and spices provide a lot of antiviral and immune-boosting properties too, so don’t be shy about adding more herbs and spices to your food. • Get more sleep. The immune system and body repairs and recovers during sleep, so strive to get as much as you can. The recommendations are for at least 7 hours a night but 8-9 is even better. • Have a cuppa. Tea is among the richest sources of antioxidant flavonoids that have been shown to have positive immune response. Choose black, green or oolong for the most benefits. • Get your good bugs. Enjoy a probiotic daily in the form of a container of non-fat or low-fat yogurt or kefir. For more information, follow the guidelines on the government’s flu site, Flu.gov. this type of blog increase food value. people only eat food for full there tummy and test. but realty is food is our medicine. Thank You for such a great and bioinformatic post.